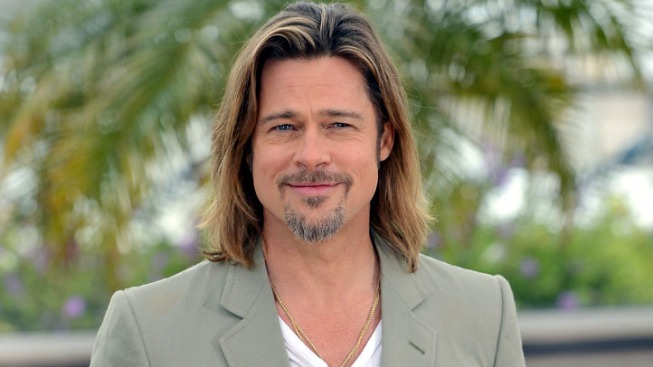 Brad Pitt "still hoping for marriage equality in the States" before he sets a date. Brad Pitt, told reporters at the Cannes Film Festival, that he is waiting on marriage equality before setting his wedding date. Brad Pitt and Angelina Jolie still haven’t set a wedding date. “We actually, really and truly have no date,” Pitt said on the sidelines of the Cannes Film Festival, Access Hollywood reported. Pitt said that getting married was “something that made sense” but said he and his bride-to-be are “still hoping for marriage equality in the States” before they tie the knot. Pitt showed up at Cannes without Jolie by his side, Us magazine reported. “She’s prepping for a movie she starts very soon,” Pitt explained. Jolie and Pitt met in 2005 while filming “Mr. and Mrs. Smith,” and have been together ever since. After seven years together, the couple became engaged in April, with the blessing of their six children.